It’s an old saying that a healthy mind lives in a healthy body. Today our eating habits, living standards and daily routine are so haphazard that it’s highly unlikely that we possess a healthy body. This is exactly the reason why we find so many people especially in the urban areas of the society are running towards all sort of treatments, remedies or therapies in search of perfect health. However such quick fix measures will not help them achieve a long lasting solution to their health problems. What is essentially required is a holistic change in lifestyle which brings an intrinsic transformation in our health. Rawatpura Ashram keeps organizing multiple programs with the primary focus on improving the health of people as well as to create awareness on principles of healthy living. With the blessings of Maharaj shri, multiple primary healthcare centers have been opened; numerous medical camps and blood donation drives have been organized. A new blood bank and pathology (Bilasa Pathology) has recently been opened in Bilaspur, Chattisgarh. Trust has also provided medical emergency ambulance at minimal cost in multiple regions of UP, MP, Chattisgarh and West Bengal states. In future Trust has planned to open a super specialty 600 bed hospital which will provide treatment to needy and underprivileged sections of the society. Ayurvedic Institute & Reseach Center (Proposed) Very soon under the aegis of rawatpura sarkar education institute, an Ayurvedic Institute will be opened to provide treatment based on naturotherapy and ayurvedic concepts of medicine. The institute will also focus on spreading awareness regarding life saving qualities of natural remedies among the masses. To promote the growth and development of Ayurveda. To produce graduates and post-graduates in all branchebs of Ayurveda. 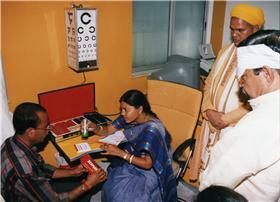 To conduct research on various aspects of Ayurveda. 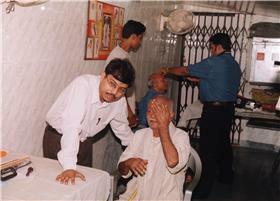 To provide medical care through Ayurvedic Systems of Medicine to the suffering humanity. To provide and assist in providing service and facilities of highest order for research, evolution, training, consultation and guidance to Ayurvedic System of Medicine. To conduct experiments and develop patterns of teaching under-graduate and post-graduate education in all branches of Ayurveda. "Religion as a science, as a study, is the greatest and healthiest exercise that the human mind can have"